APRIL 2018; JESSUP, MARYLAND: API is pleased to announce the order of the next Legacy AXS recording console for the European market. The new 15IPS Studios in Croatia will be taking delivery of a 32 channel AXS console, which will be displayed at the Musikmesse exhibit in Frankfurt, Germany and shipped to the new facility in July. This is the thirteenth AXS to be delivered since the product's launch approximately one year ago. With an expanded and powerful feature set, the new AXS console continues API's commitment to an all-analog signal path. Console frames range from 32 to 80 channels, with each channel offering dual input capability and access to two API 200 Series module slots. One of the many new aspects of the AXS design is a return to the traditional 1.5 inch module width standard, which allows for the use of API 500 Series Equalizers on a per-channel basis. 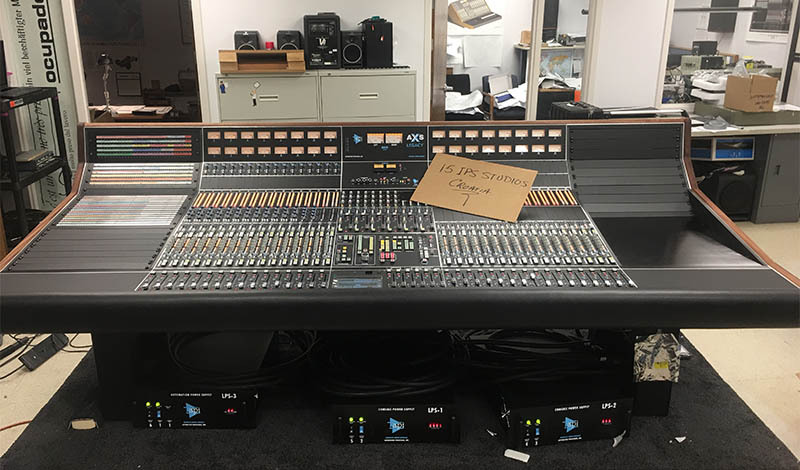 AXS consoles also feature a complete Center Section which includes six Automated Stereo Effects Returns with motorized faders, 5.1 Surround Monitoring and a built-in 2500 Stereo Bus Compressor, along with onboard or remote patch bay facilities. A DAW/Producer's Desk is one of many customizable options available. Previous deliveries include Made In Memphis Entertainment in Memphis, TN and the all new Studio Tanta, the first new studio construction in Tokyo in many years. Managing Director and recording Engineer of 15IPS Studios, Borko Kovac, says, "We made the choice for the API Legacy AXS console because of the character of the sound; the great preamps, equalizers, compressors and the 28dB of headroom. API was capable of customizing the desk to our specific needs and wishes, and ES Pro Audio worked hard to make our budget work. Combined with our living accommodations and a spectacular view of the coast from the studios, API and the AXS was only a dream, but now has become a reality."